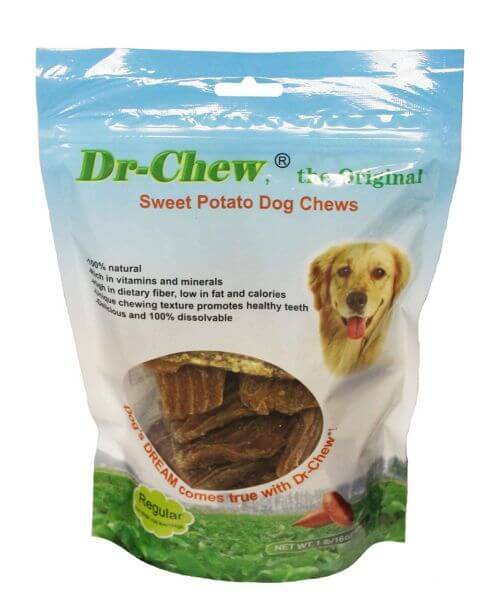 Dr-Chew® dog treat has typical and pleasant smell and sweeter taste of cooked sweet potato that dogs love. Dr-Chew® has natural, special and unique chewing texture. Chewing provides dogs with excellent chewing experience. Dr-Chew® is a simple and natural vegetable dog treats and also a great alternative to meat based rawhide and grain based biscuits.